Lack of sunshine, freezing weather and dark days can test the mood and optimism of even the happiest of people. A last minute winter holiday can often do the trick, lifting the spirits and giving you something to look forward to, but what if your finances don’t stretch to an all inclusive trip to sunnier climes? In these circumstances you have to look closer to home for solutions, and where better or easier than your kitchen cupboards. How much omega-3 is in the food you buy? Food, the type you eat and when you eat it has a significant impact on how you feel and is something you can control, so now is as good a time as any to think about what’s on your plate before the winter gloom sets in. Depression that occurs during the winter season has been given a medical name and is termed: seasonal affective disorder (SAD). The reduced level of sunlight during autumn and winter is thought to affect the production of serotonin, a neurotransmitter that influences mood. For this reason, it is often referred to as the ‘happy hormone’. Winter blues are a less severe form of seasonal disorder but nonetheless can make life pretty miserable at this time of year. Finding a coping mechanism is essential and dietary modifications can make all the difference. Your blood sugar is otherwise known as ‘glucose’, which comes from the carbohydrate foods you eat. This includes obviously sugary foods such as biscuits, cakes, sweets, table sugar and chocolate, but it is also hidden in many other processed foods. A typical example of this is pre-cooked chicken, which often has sugar as one of the ingredients used to enhance the flavour. After eating, the amount of glucose in your blood rises, triggering the release of insulin a hormone that helps to bring levels back to normal. If the glucose levels rise too rapidly, too much insulin can be released pushing blood sugar levels down too low. This creates a blood sugar imbalance and can cause a number of symptoms including irritability, anxiety, mood swings and depression. Your brain needs a constant supply of glucose to function adequately, this is because the cells in the brain find it very hard to utilise any other source of energy. It also explains why when blood sugar levels drop too far you can become cranky and depressed. Maintaining even balanced blood sugar levels throughout the day is one solution and is not too difficult to achieve if you think about when and what you eat. Your brain needs glucose after an extended fasting period through the night. If you don’t refuel it will affect your mood and concentration levels. The more highly refined and sugary foods are, the quicker they are broken down into glucose for fuel, playing havoc with your blood sugar balance. This may mean having to forego a lot of your favourite convenience foods because they are likely to contain refined carbohydrates. These take much longer to break down in the stomach, releasing the sugar more gradually. Complex carbohydrates include: whole-grain flours, brown rice, vegetables, beans, pulses, lentils etc. Protein slows down the absorption of sugar from other foods in the stomach. Good examples are nuts with fruit, boiled eggs with salad, natural yogurt and berries. These can reduce insulin production as they stimulate the adrenal glands to produce adrenaline, which triggers a rise in blood sugar levels. Insulin then kicks in and blood sugar can plummet again, perpetuating the cycle of highs and lows. This produces very strong swings in blood sugar levels and may aggravate hypoglycaemia (low blood glucose). Fibre slows the absorption of sugar from food, particularly water-soluble fibre as found in legumes, oat bran, apples, pears and most vegetables. 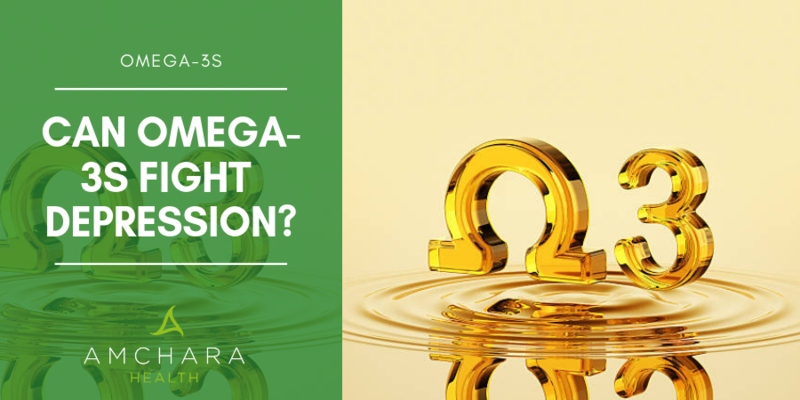 The importance of essential fatty acids in human nutrition is now firmly established and research continues to uncover further health benefits, particularly in relation to omega-3 intake, brain development and depression. However, the omega-3s sourced from aquatic plants and fish are far more useful to the body. Alpha-linolenic acid (ALA)—the short-chain omega-3 fatty acid derived from plants—is utilised by the body primarily to make a long-chain omega-3 fatty acid called docosahexaenoic acid (DHA). 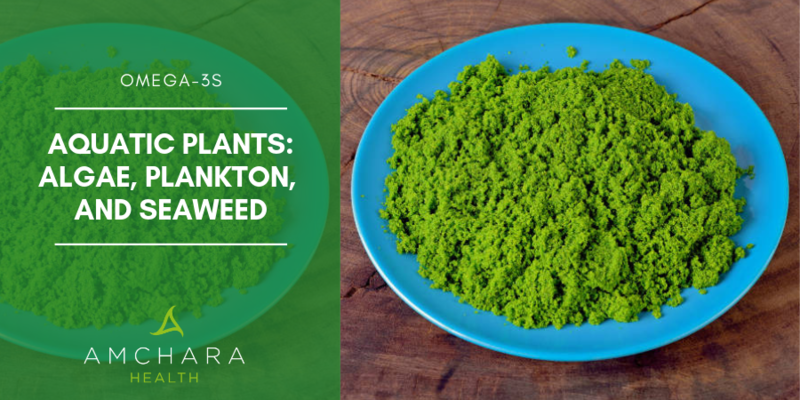 As well as this the body uses ALA to make another long-chain omega-3 fatty acid called eicosapentaenoic acid (EPA), which while beneficial in many ways, does not appear to be as essential to body functions as is DHA. Omega - 3s are also known to dampen inflammation in the body, which is important because chronic low-level inflammation is linked to many health conditions including mood disorders such as depression. Population studies in various countries suggest that low levels of omega- 3s in the diet correlate with increased rates of depression. Fewer outbursts of anger and hostility in violent prisoners, addicts and troubled teenagers. The UK government currently advise the public to eat at least one omega-3 rich portion of oily fish every week. However, statistics indicate that many people consume considerably less than this due to concerns about the toxic levels of mercury in oily fish. A high quality fish oil supplement or a plant source is a good alternative. *All omega-3 polyunsaturated fatty acids present in human milk can contribute to the AI for infants. ALA, alpha-linolenic acid; EPA, eicosapentaenoic acid; DHA, docosahexaenoic acid. How much Omega 3 is in the food you buy? The information below gives you a good idea of how much omega-3 you can get from certain foods. If you are vegan or vegetarian, your best food choices will need to be ALA sourced from plants, such as walnuts, flaxseeds (linseeds) and nut oils. If you are struggling with the winter blues or SAD and need guidance with your dietary choices, Amchara has a team of trained health professionals that can help you to achieve your goals. Omega 3-6-9 Fatty Acids: Are Your Getting The Right Balance? Byelashov OA, Kau G & Sinclair A. Dietary sources, current intakes, and nutritional role of omega‐3 docosapentaenoic acid. Lipid technology 2015, 27,4: 79-82.